Well before there was reality television or even television for that matter, there were real life characters that created drama in their wake such as The Duchess also known as Wallis Simpson. She was the notorious convention-smashing American divorcee for whom Edward VIII gave up the throne for after their scandalous affair. Six months after being abdicated from the thrown, Edward VIII married the Duchess. Although the monarch has never been short on drama, The Duchess was unlike any other before her or since. 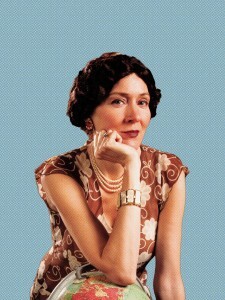 The play The Duchess also known as Wallis Simpson is by the late Linda Griffiths. It is an epic as well as true tale with the play being a long time in the making. The play features 10 local actors and takes you through the tumultuous adult life of The Duchess. Along the way you will meet some historical figures that crossed her path including Noel Coward, King George V, Hitler and Queen Mary. The Duchess kicks off at The Cultch, 1895 Venables Street, on April 7th with a preview, opening night takes place on April 8th and the show continues its run until April 18th. Tickets are available online at The Cultch from $19. Photo Credit: Tim Matheson of Diane Brown.